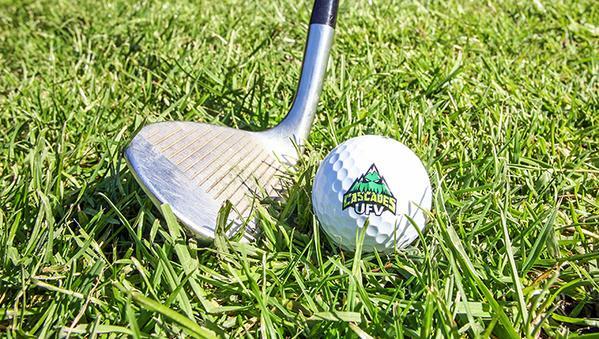 Fraser Valley – The University of the Fraser Valley women’s and men’s golf teams both attained lofty positions in the first CCAA national rankings of the season. The rankings, released Tuesday, saw the Cascades women occupying the No. 2 spot, just behind the reigning CCAA national champions from Humber College. The UFV men’s squad, meanwhile, checks in at No. 4, trailing only the Vancouver Island University Mariners, Camosun Chargers and Niagara Knights. Cascades head coach Chris Bertram noted that while receiving a high ranking is a nice compliment to his players, it’s also “just a ranking” – it’s necessary that they continue to prove themselves in competition over the course of the season. “It think it recognizes, somewhat, the season we had last year and the fact we’ve got good returning players and a couple of really strong recruits,” he said. “When I look at the women already being ranked next to the defending national champion in Humber, it’s a huge compliment, and I think it’s worthy recognition for the team that we have. Sharon Park, a first-year member of the Cascades women’s golf team, received an additional accolade when she was recognized as the PacWest’s female golf athlete of the week. Park, a Surrey, B.C. product, won the UFV Invitational on the weekend at Ledgeview, edging teammate Hannah Dirksen by one stroke. Up next for the Cascades is PacWest Tournament No. 2, hosted by the UBC Okanagan Heat this Saturday and Sunday at the Okanagan Golf Club. The UFV women’s team holds an 18-stroke lead over UBCO in the overall standings, and Bertram noted that the Heat will be motivated to close that gap playing at home this weekend. The Cascades men sit third in the PacWest standings, but the race couldn’t be any closer. The VIU Mariners lead with 589 combined strokes, just ahead of Camosun (590) and UFV (591). Zach Olson is the top Cascade in the individual race, sitting in third place. Be the first to comment on "UFV Golf – National Rankings Ahead Of PacWest Tourney"